Should You Schedule a Spring Roofing Maintenance Check? With such a mild winter, spring months April – May is ideal for fulfilling a spring roofing checklist. Spring is the best time to work with a DFW roofer to prepare your home for summer. So, to help you take advantage of the mild temperatures here is a home roofing checklist thanks to our friend Bob Vila. Your initial inspection should begin on the ground, walking around your property and looking for problems. Try to get a vantage from all angles, paying close attention to shingles, problem spots, flashing, and chimneys. There’s no reason to climb up to your roof when a ground vantage is perfectly acceptable. Keep a look out for loose shingles, missing shingles, cracks in the roof or roofing material, or shingles that have shifted. If you had water problems inside your home during winter, identify where that problem spot occurred on the roof. Even though brick seems impervious, age can take a great toll on it. Look for cracks in the chimney facade, missing bricks in the chimney, loose flashing around the base of the chimney where it meets the roof, and calcium deposits on the exterior. Gutters can withstand a lot, but still sometimes need repair or replacement. Further, if you are certain that your gutters are clogged, it’s possible that they are full of leaves. But, if you have asphalt shingles, a gutter clogged with tiny pieces of gravel might mean that your shingles need to be replaced. Don’t let the weather prevent you from protecting your most valuable asset. 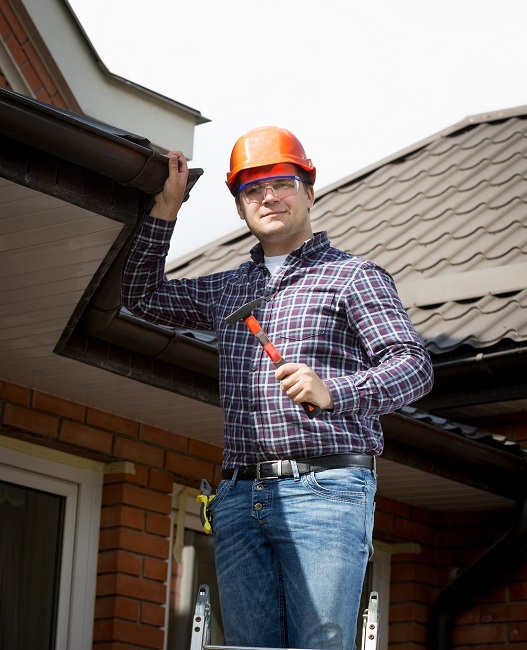 Perform a spring roof inspection by yourself or with a professional roofing contractor today. If you’re ready to complete your spring roofing checklist, we can help you. Please don’t hesitate to contact us for more information on us and our roofing services. 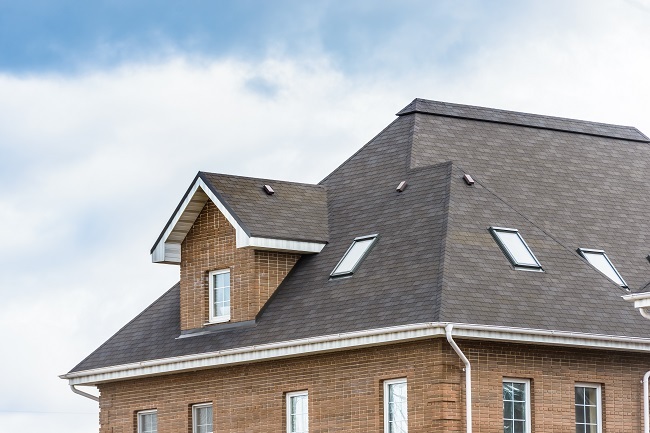 A roof is one of those purchases you only make a few times in a lifetime, so you must take extra consideration into not only the type of roof but color of it as well. If you want your roof to stand out, then consider more than just picking an uncommon color. There are other ways to draw attention to your roof, which will be covered in this article. You don’t always have to change the roof color to make it stand out. An indirect way to draw attention to your roof is to choose contrasting colors for your soffit and fascia. Many homes use the same color for their soffits and siding. To indirectly make your roof stand out, paint your soffits a different color than your siding. If you’re more interested in changing the color of your roof to make it stand out, then consider picking a roof color that complements permanent features of the house. Examples of permanent elements are the chimney and brick facades. Before spending the money on renovating your house’s exterior, check the homeowner’s association guidelines to make sure the change you want to make is allowed. Sometimes the homeowner’s association has a designated color scheme residents in the neighborhood must abide by. If you live in a neighborhood without an HOA, then you’re likely free to be as creative as you want. You’re not limited to just changing the roof’s color when you want to make it stand out. Look at other structures of the house, such as the soffit, fascia, and siding. Think about which color schemes you can use to make your roof the focal point of your home. Also check the homeowner’s associations guidelines before changing your house’s exterior design. They may not allow a color you want. Whether it’s the roof or another structure being changed to a different color, you can make it stand out by wisely choosing your color schemes. For additional help with making your roof stand out, contact us. We are dedicating to installing beautiful roofs that last long.